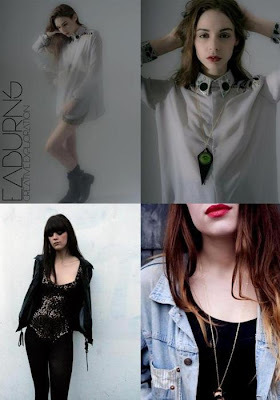 Absolutely loving Lizzie Burns (an East London Fashion Designer) new EA Burns capsule collection! A mix of shirts, leotards, leggings and fabulous accessories, this is a real gem in the making. My love for prisms and triangles as well as aztec zulu themes, is clearly shared by Lizzie who has translated her own brand of street fashion, totally wearable and fabulous! It reads Shoreditch Chic fused with Warrior Woman / Pink Floyd themes impeccably. Can’t wait for her SS11 designs, watch this space!